Payment Plans Available: Please call our office at 212.315.3010 or email here to set up a payment plan today! This is an advanced program for students who are seeking representation and have taken class at a reputable institution. If you fall into any of the categories below, our NEW Industry Showcase Class with 10 Scouting Reps is for YOU! • Are you an actor who shows professional potential but still needs more training before seeking representation? • Are you looking for representation but don’t know where to begin? • Have you been told by agents or managers that you need more work before they sign you? 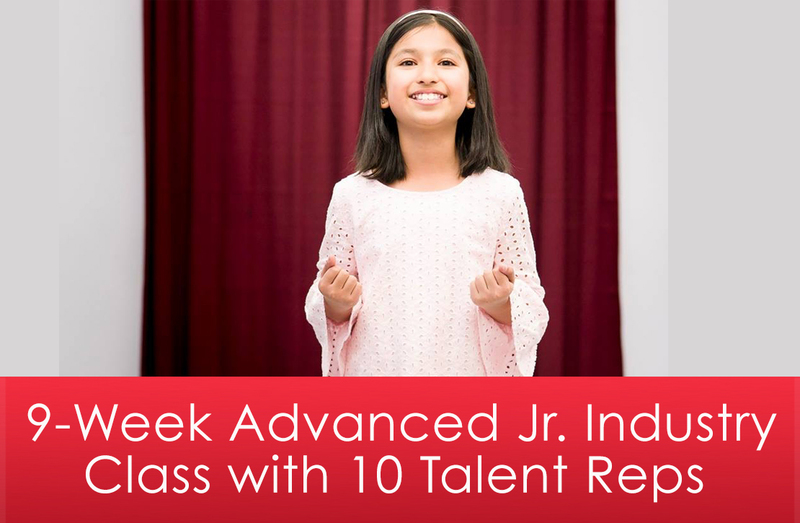 In this class, our students will work alongside a successful Broadway star and a professional Music Director who will challenge students to take their work to the professional level and get them ready for their final industry showcase that will be attended by 10 scouting talent reps from some of NYC’s best offices! Throughout the 9 weeks, we’ll create a showcase to reflect the strengths of our select group. Students will perform solos, duets, dance numbers, group numbers, and scenes. A Class Act NY has helped many actors meet their representation and go on to have illustrious careers! Check out our Student Achievements Page for more details! Final Showcase: Actors will present a combination of songs, group numbers, scene work and more for loved ones and scouting Talent Reps.
Make-Up Class: Can’t make all 9 classes? Not to worry, we will be offering a make-up class!